Buckle up your seat belt, because you are in for an inspirational ride. 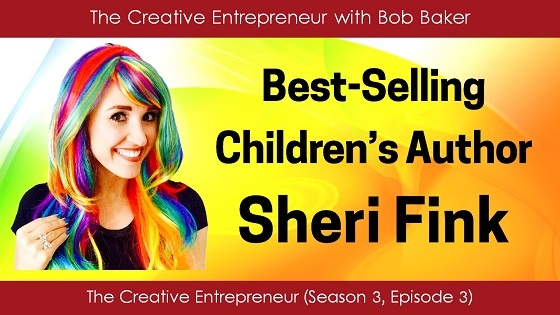 This episode features my interview with Sheri Fink, the author of five best-selling children's books. She also produced an inspirational journal, published a romance novel, and her voice and lyrics are featured on music albums - and all of them have achieved impressive levels of success. I didn't know what to expect when I first reached out to Sheri to interview her. I had a feeling it would be an interesting story, and boy is it ever! In fact, there's so much great stuff here, I'm breaking it up into two episodes. This is part one. Enjoy!